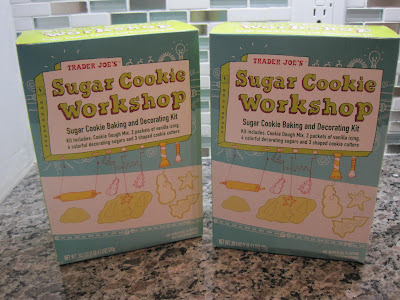 Stuff I Ate: Holiday Giveaway: Sugar Cookie Set! It's time for Stuff I Ate's very first Giveaway! This is an all-in-one day of fun for kids--or kids at heart! 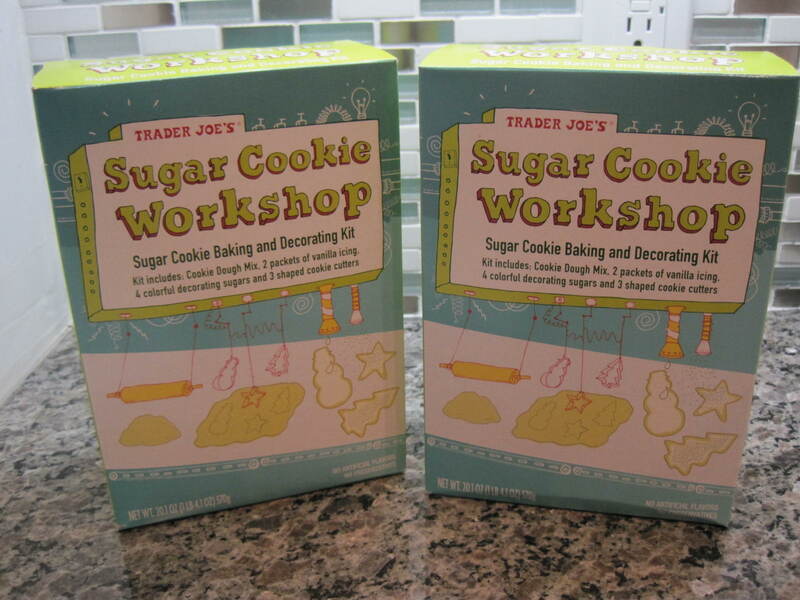 One of my favorite stores, Trader Joe's, has this awesome Christmas cookie set. 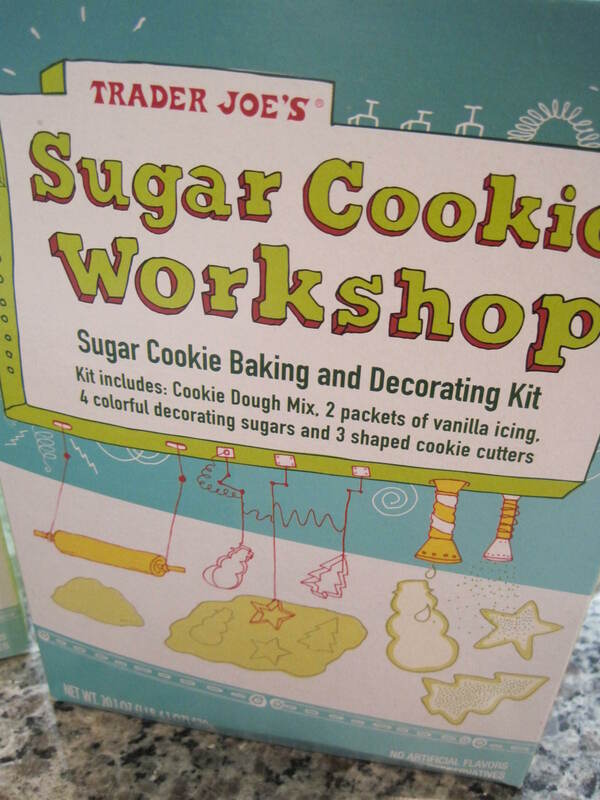 It comes with the cookie mix, colored sugar sprinkles, icing, and three cookie cutters! All you need to add is some butter and a single egg. This is the perfect idea for an afternoon of baking fun---and a good clean way to have fun with kids, family, friends, you name it! And there are two up for grabs, so it's a doubly delicious giveaway! This is just one delicious way to thank all of you for your support, especially over this past year. This blog has been so much fun for me to write, and I truly love each and every bit of feedback I get, from comments on the blog to love on the Stuff I Ate Facebook page. I get such a kick when I hear from someone who tried a recipe and loved it, or from someone telling me they actually take a moment out of their busy day to stop by and visit. That's so awesome! Now, how do you enter for a chance to win? Just leave a comment below telling me what your favorite Christmas (or winter) holiday activity is. Cookie-making? Sledding? Making snowmen? Drinking hot chocolate by the fire? Oh wait...those are all my favorites. Tell me yours! You can get extra entries by following my blog and/or 'liking' my page on Facebook (click the badge up on the right or search for "Stuff I Ate" on Facebook). Once you do that, mention it in your commment! If you already are doing that, leave a comment to let me know that, too! I'll pick the TWO winners by noon Eastern on Tuesday, December 21st and will then ship it to you ASAP...hopefully in time for Christmas, even! Oo, oo, am I first?! YES! My favorite thing about Christmas time is watching the kids open their presents. 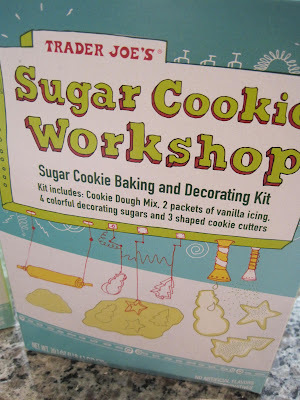 Sugar cookie baking is a close second though. Liked your facebook page and added myself to your GFC group. Nice to meet you! My favorite winter activity is long comfort food filled meals with friends. Stews and chili and roasts, oh my! That's a hard question, Ms. Parker! I have to choose between seeing family, fabulous holiday meals, and watching my nephews open presents? Okay, okay, I'll go with the cheezy one - I flew down to see my crazy family this weekend, and the best part is seeing my family get together every year. A close second, however, is egg nog... it's divine! Thank god it's only available one time per year!! Well, my homegurl Mitzi still thinks 1) I should win this and 2) you should make the cookies for me but okay, I'll play along. Probably my fave holiday activity is waking up on January 6th, 3 Kings Day, and getting more presents even as my friends' holidays are over. Ha! Also, my mom used to make me leave out hay & cookies, & dark rum for the "3 wise men & their camels", aka Mrs. Zimmerman. Congrats on your first giveaway! Feels very official, eh? Didn't know you had a FB page for your blog, but I "liked" it so now I can better follow the delectable foods you've been experiencing. I'm not too proud to beg, so... PLEASE pick poor lil' ol' me, for we have no TJs in OK and my kids LOVE making sugar cookies! Without you, it's either Betty Crocker or scratch - depending on my motivation level in 3 days. I know, pitiful, ain't it? Many of my favorite holiday traditions revolve around cooking. One is sitting around drinking hot spiced tea with my family. When I was a child drinking out of my steaming mug made me feel like a grown up. All of us, young and old, gather around and drizzle icing and carefully sprinkle candies on our trees, santas and snowmen in an effort to make the most sought after designs. We then eat the cookies - usually before all of the icing is even dry.Can't wait to do it again this week!